COUNTING BARS introduces the counting concept for the numbers zero through nine. GETTING READY reinforces the counting skills for the numbers zero through nine by counting objects. ADDITION ACTION moves objects together to form the horizontal addition problem and then displays the related word sentence. ADD ANOTHER WAY changes horizontal problems into the vertical format. 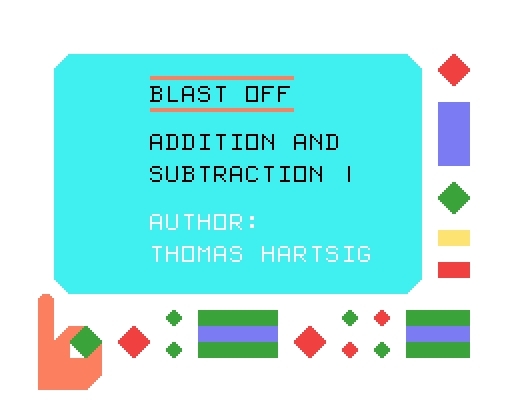 SUBTRACTION ACTION introduces the fundamentals of horizontal subtraction problems. SUBTRACT ANOTHER WAY presents a smooth transition from the horizontal into the vertical format. ACROSS AND DOWN provides further practice with horizontal and vertical problems, in both addition and subtraction, using a complete-the-table drill. ADDITION TABLE reinforces the addition concept with a practice game. SUBTRACTION TABLE reviews the concept of subtraction with another practice game. 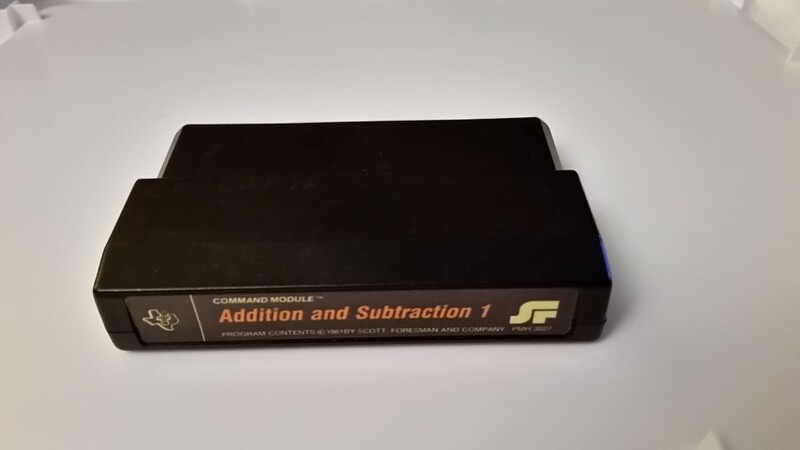 The Addition and Subtraction 1 module advances your child to more difficult drills according to the number of correct responses given in each activity. 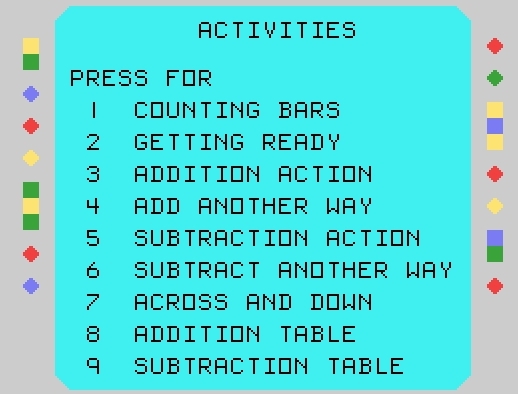 The computer automatically advances to the next activity if your child answers 80 percent of the drill problems correctly. If less than 60 percent of the problems are answered correctly, the computer returns to the appropriate previous activity, providing your child with more practice. This automation helps to alleviate anxieties caused by consistently incorrect responses, thus making the learning of mathematical skills a pleasurable and rewarding experience. With this module, Texas Instruments continues its tradition of applying innovative Solid State Speech™ technology to educational activities. 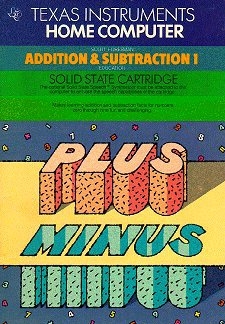 Addition and Subtraction 1 is designed to work with or without the Texas Instruments Solid State Speech™ Synthesizer (sold separately). However, the Speech Synthesizer must be attached to activate the voice of the computer. The computer's voice then gives directions, reads the equations, and encourages your child to "Try again" when he or she gives an incorrect answer. The addition of speech strengthens the learning process since your child can hear, as well as see, the correct answers.